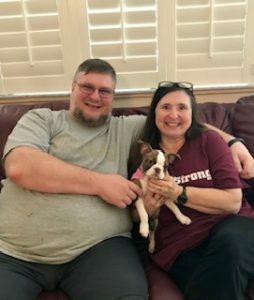 Scarlett the Boston Terrier puppy who was born with a huge PDA and a level 6 heart murmur is safe and sound with her dad (cardiologist), amazing, nurturing mom, plus two and four legged siblings. 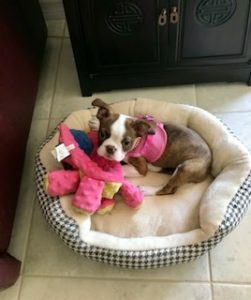 Special “Thank You” to all for your love and support with Scarlett’s surgery. Plus, foster mom, Michelle and Dr. Pelosi for performing her “life saving” heart surgery.